As part of its ongoing efforts to strengthen the durability and resiliency of its electric transmission and distribution systems, FirstEnergy Corp. (NYSE: FE) plans to invest about $268 millionduring 2018 on infrastructure upgrades to enhance service reliability in West Penn Power’s 24-county service area. Major projects scheduled include: transmission enhancements to reinforce the electric system and support economic growth, including the shale gas industry; constructing new circuits and replacing utility poles; and installing enhanced protective devices on wires and poles. Building a half-mile transmission line at a cost of about $1.5 million to provide electrical service to a natural gas processing facility under construction in Smith Township, Washington County. Completing upgrades in a substation near Slippery Rock in Butler County necessary to interconnect two transmission lines at a cost of about $483,000 in 2018. The substation upgrades are part of the recently completed rebuild of a 7.5-mile transmission line connecting the substation near Slippery Rock to a substation near Grove Cityin Mercer County, bolstering the regional transmission system and enhancing service reliability for about 25,000 West Penn Power customers. Nearly half of the line is in neighboring Penn Power’s service area, and the total project cost is about $15 million. Upgrading equipment on 217 distribution circuits throughout the service territory to help enhance service reliability at a cost of about $7.6 million. These improvements – including installing cross arms, hardware, and other equipment – are expected to provide better resiliency for more than 190,000 West Penn Power customers. Providing underground electrical service to support the initial phase of a new 2 million square-foot commercial development in South Fayette Township near Interstate 79 and Route 50 in Allegheny County. 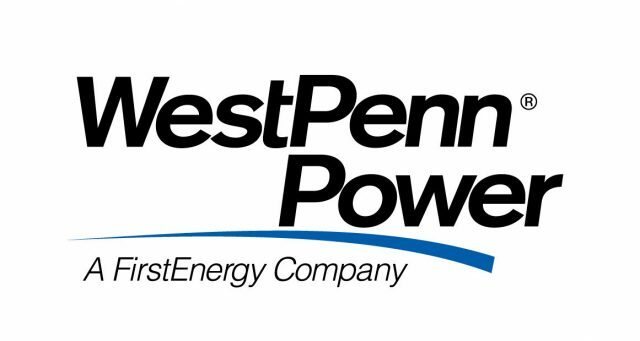 Investing about $35 million on additional construction projects throughout West Penn Power’s 24-county service area. Investing about $1.1 million on various reliability projects throughout West Penn Power’s 24-county service area. Installing new switches and automating other equipment throughout the West Penn Power area at a cost of about $4 million to help speed service restoration to customers following a service interruption. Upgrading distribution substations across West Penn Power’s service area with more than $2.8 million in fault-monitoring equipment to detect and locate problems on lines to help crews more quickly restore power when service is interrupted. Inspecting about 62,400 utility poles and replacing or reinforcing about 408 poles at a cost of more than $1.1 million. This inspection process is conducted on a 12-year cycle in Pennsylvania, and replacement work is scheduled to be conducted throughout the year. Replacing underground cable throughout the distribution system at a cost of about $425,000. Locations include Quail Acres in Washington County and Saybrook Village in Westmoreland County. About $11 million of the budgeted total will be for transmission-related projects owned by the Trans-Allegheny Interstate Line Company (TrAILCo), a FirstEnergy transmission affiliate. In 2017, FirstEnergy spent about $213 million in the West Penn Power area on hundreds of large and small transmission and distribution projects. West Penn Power serves about 720,000 customers in 24 Pennsylvania counties. Connect with West Penn Power on Twitter @W_Penn_Power and on Facebook at facebook.com/WestPennPower. FirstEnergy is dedicated to safety, reliability and operational excellence. Its 10 electric distribution companies form one of the nation’s largest investor-owned electric systems, serving customers in Ohio, Pennsylvania, New Jersey, West Virginia, Maryland and New York. The company’s transmission subsidiaries operate more than 24,000 miles of transmission lines that connect the Midwest and Mid-Atlantic regions. Visit FirstEnergy online at firstenergycorp.com and follow on Twitter @FirstEnergyCorp. Forward-Looking Statements: This news release includes forward-looking statements based on information currently available to management. Such statements are subject to certain risks and uncertainties and readers are cautioned not to place undue reliance on these forward-looking statements. These statements include declarations regarding management’s intents, beliefs and current expectations. These statements typically contain, but are not limited to, the terms “anticipate,” “potential,” “expect,” “forecast,” “target,” “will,” “intend,” “believe,” “project,” “estimate,” “plan” and similar words. Forward-looking statements involve estimates, assumptions, known and unknown risks, uncertainties and other factors that may cause actual results, performance or achievements to be materially different from any future results, performance or achievements expressed or implied by such forward-looking statements, which may include the following: the ability to experience growth in the Regulated Distribution and Regulated Transmission segments and the effectiveness of our strategy to transition to a fully regulated business profile; the accomplishment of our regulatory and operational goals in connection with our transmission and distribution investment plans, including, but not limited to, our planned transition to forward-looking formula rates; changes in assumptions regarding economic conditions within our territories, assessment of the reliability of our transmission system, or the availability of capital or other resources supporting identified transmission investment opportunities; the ability to accomplish or realize anticipated benefits from strategic and financial goals, including, but not limited to, the ability to continue to reduce costs and to successfully execute our financial plans designed to improve our credit metrics and strengthen our balance sheet; success of legislative and regulatory solutions for generation assets that recognize their environmental or energy security benefits; the risks and uncertainties associated with the lack of viable alternative strategies regarding the Competitive Energy Services (CES) segment, thereby causing FirstEnergy Solutions Corp. (FES) to restructure its substantial debt and other financial obligations with its creditors or seek protection under United States bankruptcy laws (which filing would include FirstEnergy Nuclear Operating Company (FENOC)) and the losses, liabilities and claims arising from such bankruptcy proceeding, including any obligations at FirstEnergy Corp.; the risks and uncertainties at the CES segment, including FES, its subsidiaries, and FENOC, related to wholesale energy and capacity markets, and the viability and/or success of strategic business alternatives, such as pending and potential CES generating unit asset sales or the potential need to deactivate additional generating units, which could result in further substantial write-downs and impairments of assets; the substantial uncertainty as to FES’ ability to continue as a going concern and substantial risk that it may be necessary for FES and FENOC to seek protection under United States bankruptcy laws; the risks and uncertainties associated with litigation, arbitration, mediation and like proceedings, including, but not limited to, any such proceedings related to vendor commitments, such as long-term fuel and transportation agreements; the uncertainties associated with the deactivation of older regulated and competitive units, including the impact on vendor commitments, such as long-term fuel and transportation agreements, and as it relates to the reliability of the transmission grid, the timing thereof; the impact of other future changes to the operational status or availability of our generating units and any capacity performance charges associated with unit unavailability; changing energy, capacity and commodity market prices including, but not limited to, coal, natural gas and oil prices, and their availability and impact on margins; costs being higher than anticipated and the success of our policies to control costs and to mitigate low energy, capacity and market prices; replacement power costs being higher than anticipated or not fully hedged; our ability to improve electric commodity margins and the impact of, among other factors, the increased cost of fuel and fuel transportation on such margins; the uncertainty of the timing and amounts of the capital expenditures that may arise in connection with any litigation, including New Source Review litigation, or potential regulatory initiatives or rulemakings (including that such initiatives or rulemakings could result in our decision to deactivate or idle certain generating units); changes in customers’ demand for power, including, but not limited to, changes resulting from the implementation of state and federal energy efficiency and peak demand reduction mandates; economic or weather conditions affecting future sales, margins and operations such as a polar vortex or other significant weather events, and all associated regulatory events or actions; changes in national and regional economic conditions affecting us, our subsidiaries and/or our major industrial and commercial customers, and other counterparties with which we do business, including fuel suppliers; the impact of labor disruptions by our unionized workforce; the risks associated with cyber-attacks and other disruptions to our information technology system that may compromise our generation, transmission and/or distribution services and data security breaches of sensitive data, intellectual property and proprietary or personally identifiable information regarding our business, employees, shareholders, customers, suppliers, business partners and other individuals in our data centers and on our networks; the impact of the regulatory process and resulting outcomes on the matters at the federal level and in the various states in which we do business including, but not limited to, matters related to rates; the impact of the federal regulatory process on Federal Energy Regulatory Commission (FERC)-regulated entities and transactions, in particular FERC regulation of wholesale energy and capacity markets, including PJM Interconnection, L.L.C. (PJM) markets and FERC-jurisdictional wholesale transactions; FERC regulation of cost-of-service rates; and FERC’s compliance and enforcement activity, including compliance and enforcement activity related to North American Electric Reliability Corporation’s mandatory reliability standards; the uncertainties of various cost recovery and cost allocation issues resulting from American Transmission Systems, Incorporated’s realignment into PJM; the ability to comply with applicable state and federal reliability standards and energy efficiency and peak demand reduction mandates; other legislative and regulatory changes, including the federal administration’s required review and potential revision of environmental requirements, including, but not limited to, the effects of the United States Environmental Protection Agency’s Clean Power Plan, Coal Combustion Residuals regulations, Cross-State Air Pollution Rule and Mercury and Air Toxics Standards programs, including our estimated costs of compliance, Clean Water Act (CWA) waste water effluent limitations for power plants, and CWA 316(b) water intake regulation; adverse regulatory or legal decisions and outcomes with respect to our nuclear operations (including, but not limited to, the revocation or non-renewal of necessary licenses, approvals or operating permits by the Nuclear Regulatory Commission; issues arising from the indications of cracking in the shield building at Davis-Besse; changing market conditions that could affect the measurement of certain liabilities and the value of assets held in our Nuclear Decommissioning Trusts, pension trusts and other trust funds, and cause us and/or our subsidiaries to make additional contributions sooner, or in amounts that are larger than currently anticipated; the impact of changes to significant accounting policies; the impact of any changes in tax laws or regulations, including the Tax Cuts and Job Act, or adverse tax audit results or rulings; the ability to access the public securities and other capital and credit markets in accordance with our financial plans, the cost of such capital and overall condition of the capital and credit markets affecting us and our subsidiaries; further actions that may be taken by credit rating agencies that could negatively affect us and/or our subsidiaries’ access to financing, increase the costs thereof, increase requirements to post additional collateral to support, or accelerate payments under outstanding commodity positions, letters of credit and other financial guarantees, and the impact of these events on the financial condition and liquidity of FirstEnergy Corp. and/or its subsidiaries, specifically FES and its subsidiaries; issues concerning the stability of domestic and foreign financial institutions and counterparties with which we do business; and the risks and other factors discussed from time to time in our United States Securities and Exchange Commission (SEC) filings, and other similar factors. A security rating is not a recommendation to buy or hold securities and is subject to revision or withdrawal at any time by the assigning rating agency. Each rating should be evaluated independently of any other rating. These forward-looking statements are also qualified by, and should be read in conjunction with the other cautionary statements and risks that are included in our filings with the SEC, including but not limited to the most recent Annual Report on Form 10-K and any subsequent Quarterly Reports on Form 10-Q. These risks, unless otherwise indicated, are presented on a consolidated basis for FirstEnergy; if and to the extent a deconsolidation occurs with respect to certain FirstEnergy companies, the risks described herein may materially change. The foregoing review of factors also should not be construed as exhaustive. New factors emerge from time to time, and it is not possible for management to predict all such factors, nor assess the impact of any such factor on our business or the extent to which any factor, or combination of factors, may cause results to differ materially from those contained in any forward-looking statements. We expressly disclaim any obligation to update or revise, except as required by law, any forward-looking statements contained herein as a result of new information, future events or otherwise.